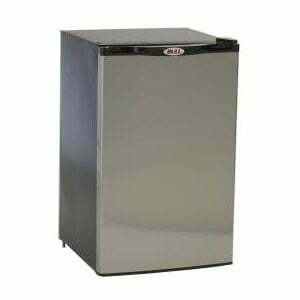 An outdoor kitchen needs a refrigerator; and not just any refrigerator. This quality Stainless Steel 4.5 Cu. Ft. fridge by Bull Grills is the perfect addition to a grill island and comes with a front vent just for that purpose. It has a space saving flush back design and the door is reversible; it will swing left or right, whatever you need. Perfect for storing condiments, garnishes, or anything else your heart desires. 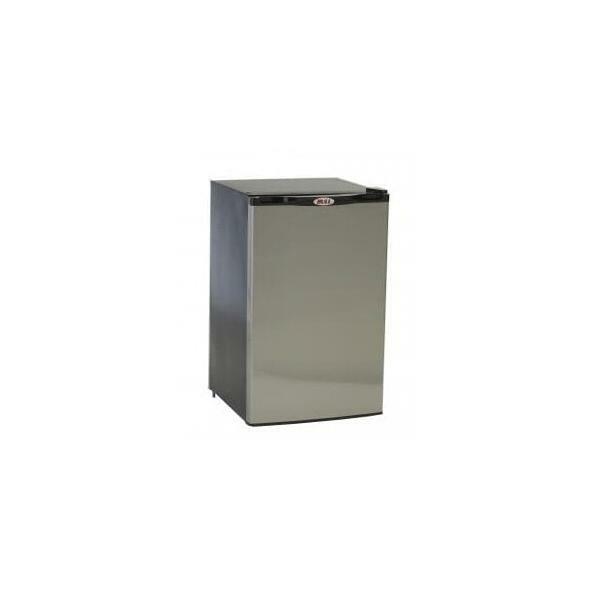 Play it cool with a Refrigerator with Stainless Steel Front Panel by Bull Grills. Net Capacity: 4.5 Cu. Ft.